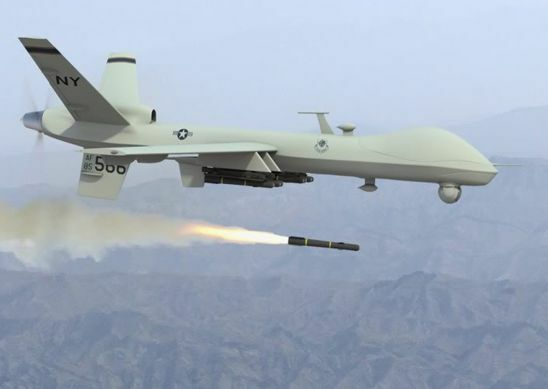 At least five militants were killed after the U.S. drones targeted a vehicle of the Taliban militants in southeastern Paktia province of Afghanistan, Khaama News reported. The 203rd Thunder Corps of the Afghan Military in the Southeast in a statement said the drone strike was carried out in the vicinity of Zurmat district. The statement further added that a vehicle which was carrying Taliban militants was targeted in Yamnai Khel area of the district, leaving five militants dead. The 203rd Thunder Corps also added that the vehicle was also destroyed during the same airstrike. The anti-government armed militants including the Taliban militants have not commented regarding the report so far. Paktia has been among the relatively calm provinces in Southeast of Afghanistan but the security situation of the province has deteriorated comparatively during the recent years. The militants are active in some districts of the province and often attempt to carry out terrorist related activities.